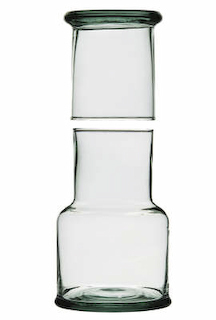 This quality recycled glass set stores away neatly when not in use by upturning the tumbler onto the neck of the carafe. From Crisil in Bolivia, who have benefited from technical help in recent years and have now expanded the business to employ around 100 people. CRISIL is a glass-making factory situated in Cochabamba, central Boliva. It is a family-owned business begun by two brothers, Carlos and Walter Bustos, after one of them spent some years in the USA but wanted to return to his home country. CRISIL currently employs around 100 people as well as providing employment for used-bottle collectors who supply the factory with glass for recycling. CRISIL has been involved in product development consultation and been given technical assistance in recent years to help the business develop. The Recycled Glass Water Carafe product ethics are indicated below. To learn more about these product ethics and to see related products, follow the links below. This is my third one of these carafes - the first I bought for me, then all my colleagues liked it so much I've ended up buying two as presents! Brilliant: lovely quality, really useful, and just fantastic that they're recycled and fair trade produced. 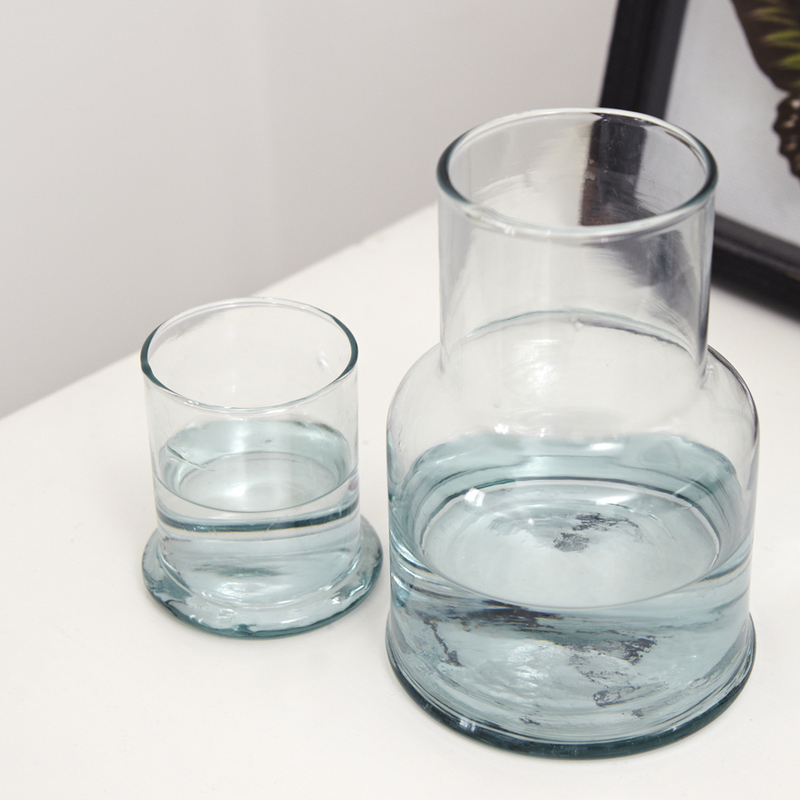 Well made products and clever design with the glass sitting inside the top of the carafe. Ideal for our new guest room. Carafe was just what I wanted, good value and delivered fast. I have recommended to friends. Q: How big is this? What volume does it hold? A: Hi there, Many thanks for your query. 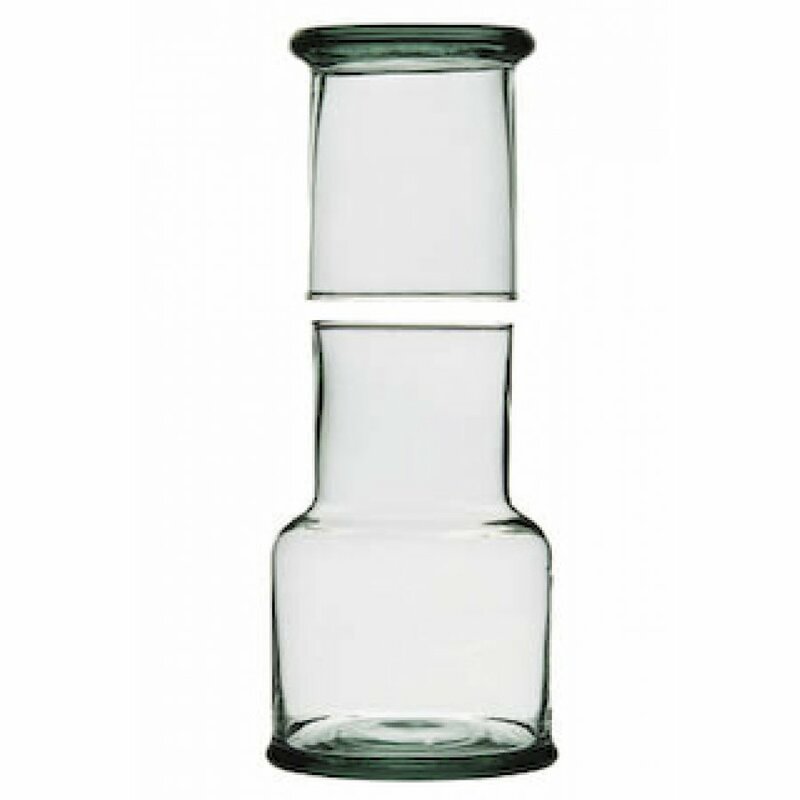 The carafe measures H16.5 x Dia.10cm and holds 250ml. I hope this helps. Fighting poverty through trade since 1979, Traidcraft comprises of a trading company and a development charity. It has formed lasting relationships with small scale producers all over the developing world, whilst also actively campaigning for trade justice. It offers a wide range of fair trade products, including food and drink, clothing, jewellery and crafts. If you care about the story behind the product, then Traidcraft has the products for you.